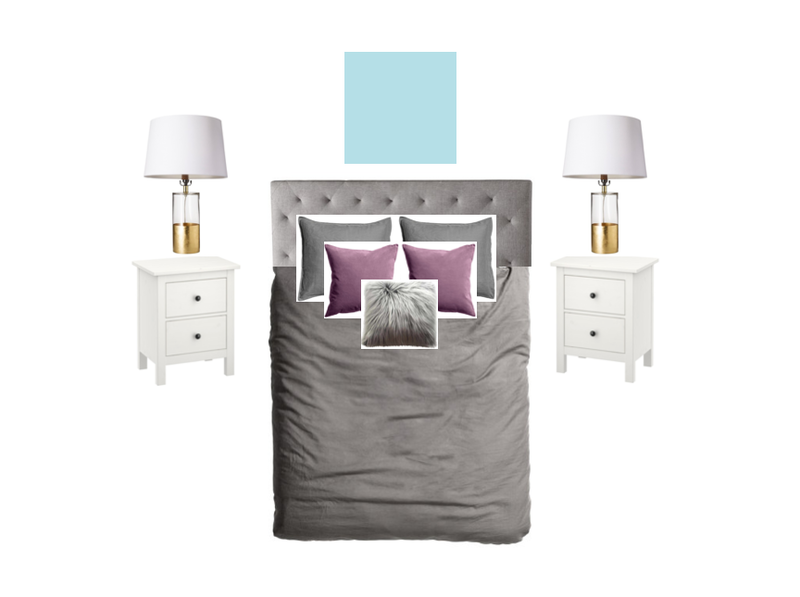 For today's Makeover Monday we are covering the second concept design for the Master Bedroom. It is for the wall located to the right of our last design post. This is where our bed is located. We have the same light blue paint but the rest of the design brings in more of the dark romantic feel we are looking for. In the center of the wall we have a gray tufted headboard. 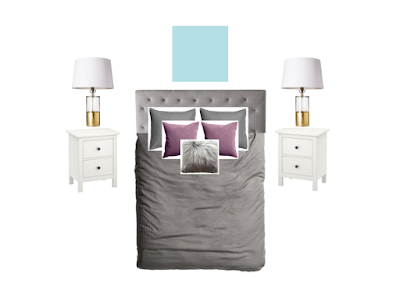 Our bedding is dark gray with purple pillows to add some color and a fur gray pillow for some texture. On each side of the bed we have white night stands that match our dresser. On top table lamps with a pop of gold and white shades. Erik and I will each add a few knick knacks on top to really personalize them. I can't decide if I should hang something in the space above our headboard. Somedays I think it is too empty. Other days I think it is just fine.